Quartz main ingredient is silica, Mohs hardness 7. The general crusher equipment easy to wear seriously, and will reduce the service life. But HPT Series High-Efficiency Multi-cylinder Hydraulic Cone Crusher of Liming Heavy Industry can achieve energy efficient crushing task. Currently, there are many manufacturers of cone crusher in the market. Different manufacturers have defferent models, specifications and names, defferent cone crusher models crush different materials. For quartz crushing, customer should communicate with professional technical engineers, to choose the most suitable crushing equipment. 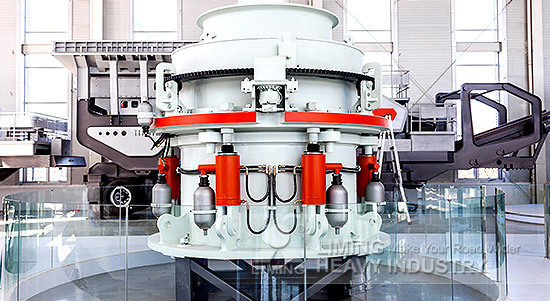 Liming Heavy Industry developed HPT Series High-Efficiency Multi-cylinder Hydraulic Cone Crusher, it can meet the processing requirements of quartz.